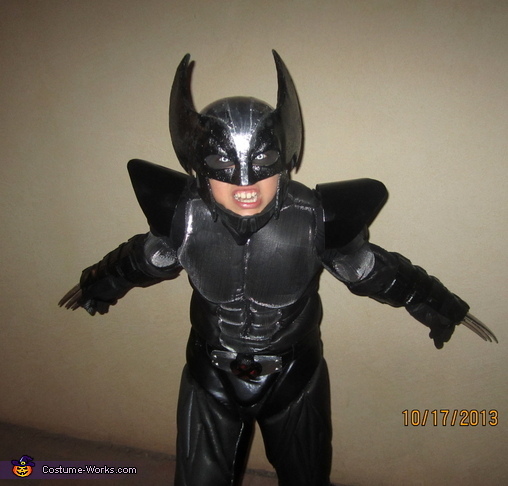 My son is wearing this wolverine costume, our whole family is in to comic book heros and this is what he wanted to be this year. I made this costume from scratch, muscle suit is my own unique design, I used several different materials to create my master piece, such as foams, glues, latex, spray paints, stretchy materials, velcro, elastic. I plan on making costumes for a living. This costume is one of my best yet! I hope you all enjoy it! Thanks! Angel. You are an amazing Costume Designer! I am so proud of you! Great Job!!! I love you! How did you sculpt the body ?